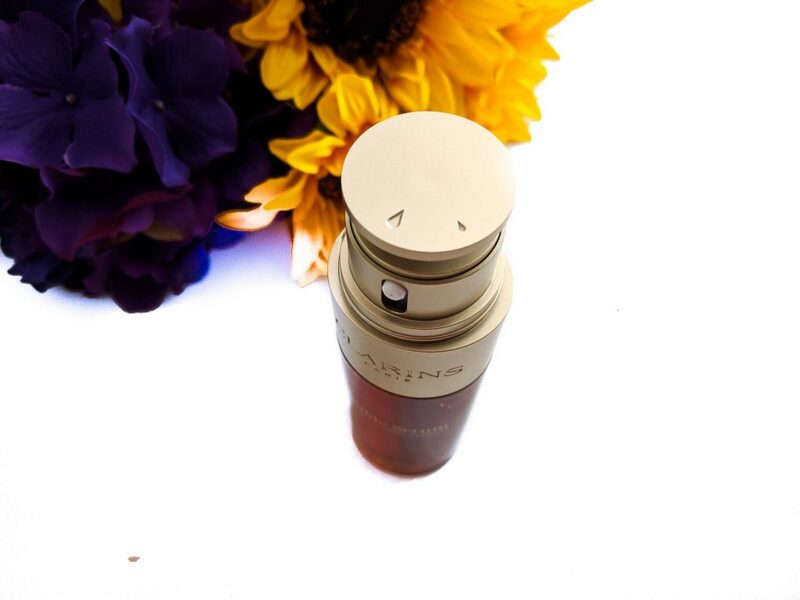 Did you say Turmeric in Clarins Double Serum? Okay, I am all big yes for Turmeric if you are not aware yet. I was born and brought up in India, and in India, it is all about the natural herbs and turmeric is one of that magic herb that heals you inside and outside. Whether there is some injury or outside of the body, it was/is always turmeric mixed with hot milk that saved the life and helped heal the wound. Aside from the healing powers of it, it is used in the mixture of homemade face and body masks in India on regular basis and also on the special occasions like before marriage. It is known to give that healthy glow, help with the blemishes, dull skin, anti-aging purposes. After moving to Canada, I have not stopped using Turmeric (Haldi in Punjabi and Hindi). For the gym injuries, turmeric mixed with hot milk is all I or my husband need along with regular balm. For the curries, I always put Turmeric in them, it is good for kids too and I never miss to put it in my kids Omelette, they love it. Apart from what I mentioned, there are numerous benefits of Turmeric including Fighting inflammation, as an antioxidant, protects the heart in various ways, helpful for arthritis, Brain boosting, may be helpful for fighting diabetes and cancer. The main thing with any herb or natural product in moderation, so it works wonders when used in moderation. So after all the love for Turmeric I have, It was natural for me to be excited to try this Clarins Double Serum which I am going to write about in this editorial. Clarins Double Serum (CAD $120-50ml, $89-30ml) is described as the only dual-phase hydric and lipidic anti-aging treatment* rich in [20+1] plant extracts. It stimulates the five vital functions of the skin, and, for the first time, has decoded the language of youthfulness. Its unique universal and bio-inspired dual formula combines 20 of the most powerful anti-ageing plant extracts with turmeric extract, which is concentrated in turmerone to effectively and visibly treat the signs of ageing. 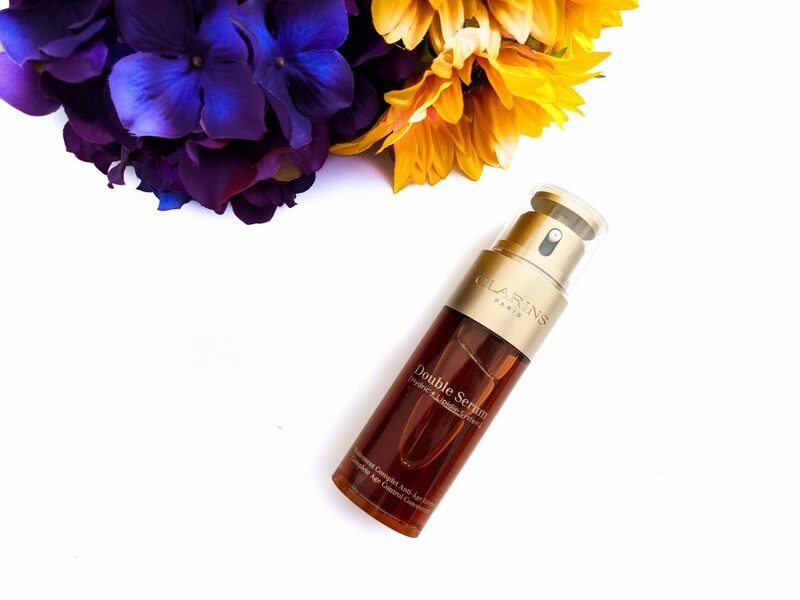 It is the 8th generation double serum and 2 serums in 1 have been the unrivaled force behind Double Serum since 1985. Its unique double formula combines the water-soluble and oil-soluble active ingredients to stimulate the skin’s 5 vital functions, brings radiance to the skin, reduces wrinkles, restores skin elasticity, tightens pores, hydrates the skin throughout the day. Coming to the product which I have used as a single serum on days after cleansing, toning and before moisturizing. I have used it as the second serum when I am using it with other serum on some days. The texture is light fluid, a little oil and gel-like, it sinks in nicely into the skin. Turmeric being an ingredient, it does not gives any yellow hints after application. The packaging looks clean with new dial pump bottle means it can be adjusted to limit the amount of product dispensed. The limit or amount can be adjusted depending on the skin type and concerns. The small drop is suitable for oily and combination skin, warm and humid climates and also for summers. The large drop is suitable for normal, dry, or sensitive skin, cold and dry weather, and also for winters. I have combination skin which does get congested easily, so I go for the small drop. Moderation is the key in most of the serums and face oils, and it is same here. I take the small drop and apply it to my face, and neck. For my decollete, I usually take another small drop. I follow with my moisturizer, I do not go for face oil when I am using this serum. There is no greasy or oily feeling on my combination skin, and the moisturizer and makeup stay on well over it, no rolling off. I did not notice any irritation while using this, nor any breakouts. My skin does look brighter with this serum, and there is a radiant glow.The skin looks smooth, firm and well hydrated. And with small drop day and night, this is surely going to last me for a while. 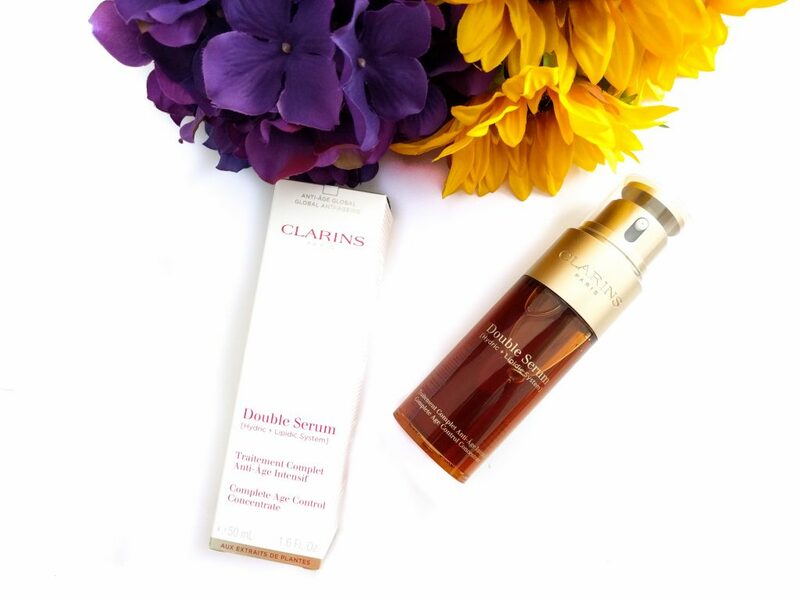 Clarins Double Serum is available at Clarins.ca, Sephora Canada, BeautyBoutique by Shoppers Drug Mart, Hudson’s Bay, Saks Fifth Avenue.